Accuquilt > GO! 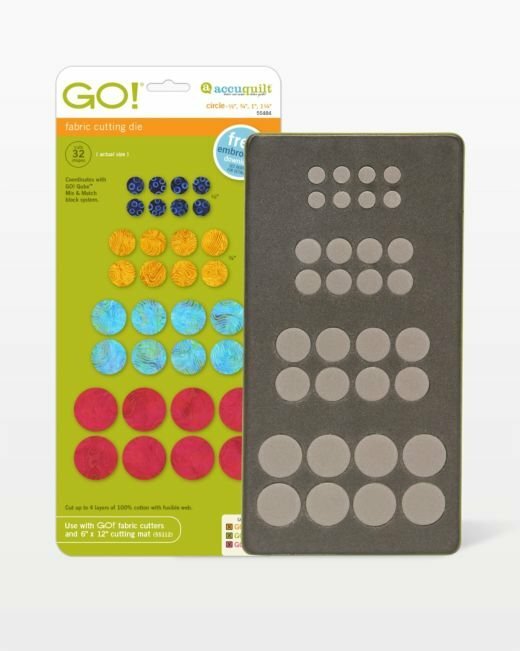 Circle - 1/2", 3/4", 1", 1 1/4"
Now you can easily cut four sizes of perfect small circles! The GO! Circle die is ideal for wool projects and cuts 32 appliqué shapes. Works with pre-cut 5" squares.